Topical skin adhesive is used to close wounds in the skin, as an alternative to sutures, staples or clips. Topical skin adhesive produces less scarring and is less prone to infection than sutured or stapled closure. 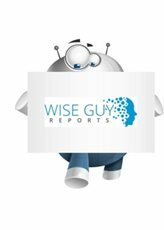 This report focuses on the Topical Skin Adhesive in global market, especially in North America, Europe and Asia-Pacific, South America, Middle East and Africa. This report categorizes the market based on manufacturers, regions, type and application. The classification of Topical Skin Adhesive includes 2-Octyl Cyanoacrylate Adhesive, N-2-Butyl-Cyanoacrylate Adhesive and the 2-Ethyl-Cyanoacrylate Adhesive. And the proportion of 2-Octyl Cyanoacrylate Adhesive in 2015 is about 73.46%. The N-2-Butyl-Cyanoacrylate Adhesive in 2015 is about 25.01%. Market competition is not intense. J&J (Ethicon), Medtronic and Advanced Medical Solutions are the leaders of the industry, and they hold key technologies and patents, with high-end customers; have been formed in the monopoly position in the industry. The worldwide market for Topical Skin Adhesive is expected to grow at a CAGR of roughly 6.9% over the next five years, will reach 670 million US$ in 2023, from 450 million US$ in 2017, according to a new GIR (Global Info Research) study.